Early bird offer! 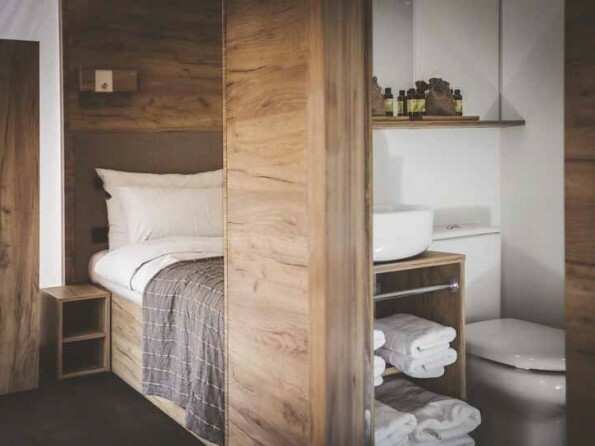 Book by 31st March 2019 to get 30% off 2019 stays up until 10th July or after 18th August. 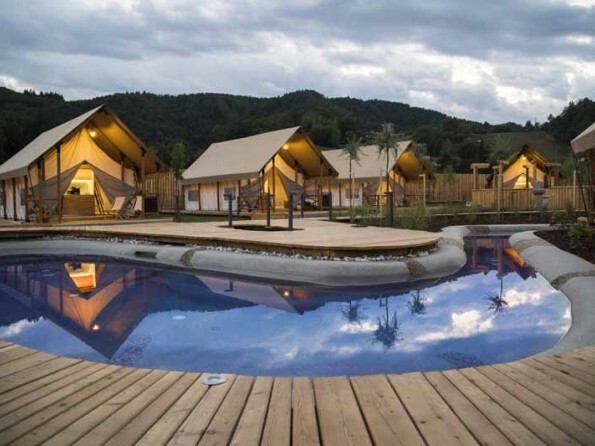 A brand new collection of luxury safari tents set in the Podčetrtek region of Slovenia, in the same grounds as one of Europe’s most well known thermal spas (Terme Olimia) and with free entry to the next door water park Aqualuna with its 11 water slides and 5 pools. 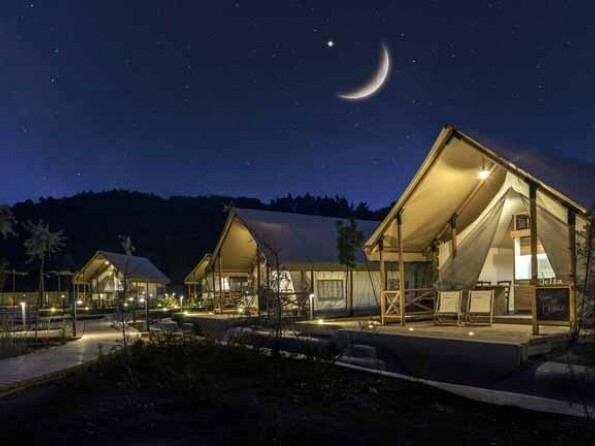 A heavenly holiday for all the family, or a wonderful romantic retreat. 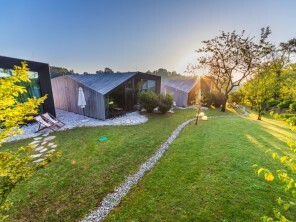 The Lonely Planet describe Slovenia as an ‘unexpected revelation’ and with good reason. It is a paradise of snow capped mountains, turquoise rivers and a Venetian style coastline. It has delicious traditional cuisine, and endless natural treasures. Slovenia is perfect for lovers of the outdoors - hiking and cycling are extremely popular, and the fast rivers can offer great rafting and watersports opportunities. 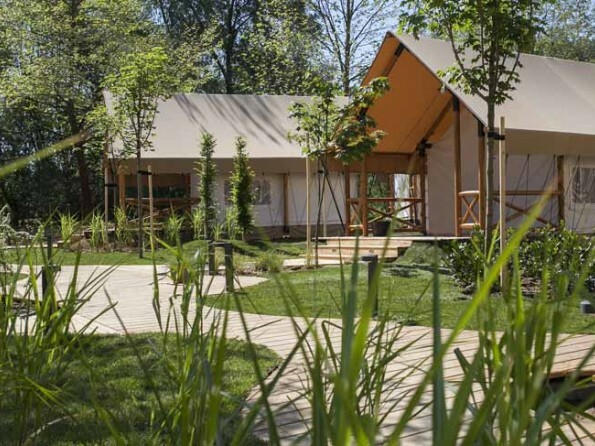 The glamping tents are within a 10 minute walk of Terme Olimia, an award winning wellness spa resort where you can indulge yourself in a wide variety of health and spa treatments. 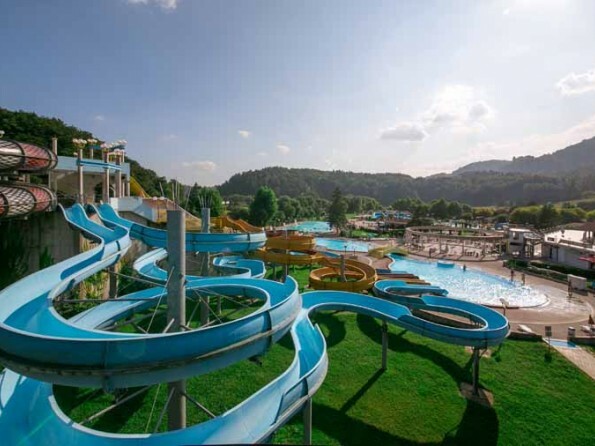 The Aqualuna waterpark next door (to which you have free entry for the course of your stay) is the biggest water park in Central Europe and has 23 water slides and 40 different pools with healing thermal waters. Also in the grounds you can play beach volleyball, tennis, basketball and mini golf and there is a large sports hall with a climbing wall, table tennis, squash and badminton. 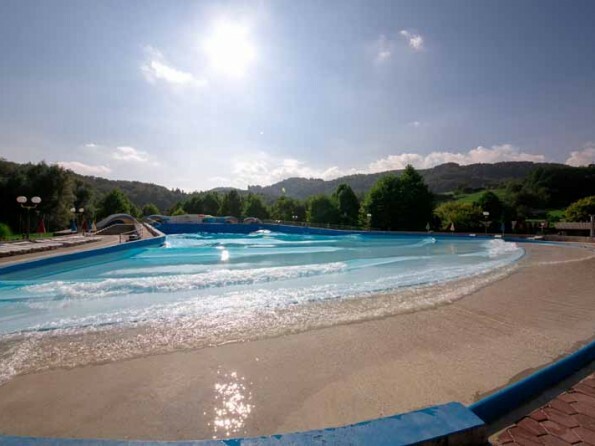 Within Terme Olimia there are two shops, newsstands, a bakery and restaurants, and within a short distance is a good choice of other shops and restaurants. Directions provided on booking. Transfers can be arranged. 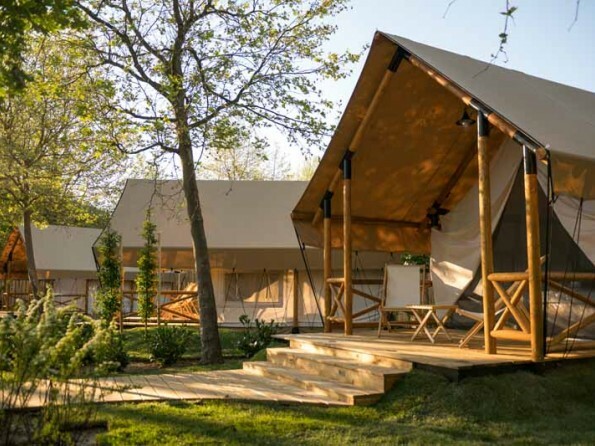 There are two types of safari tent available, for either two people, or four people. 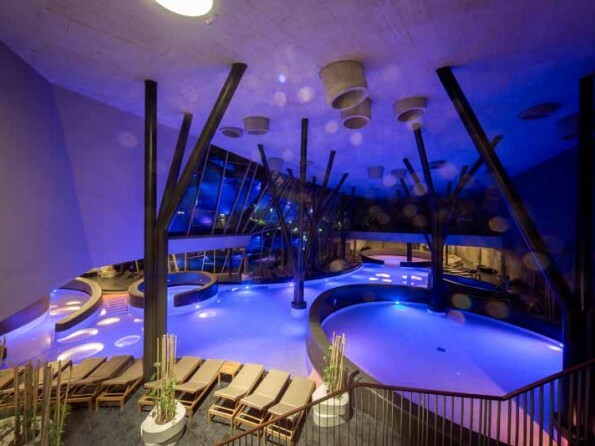 They are luxurious and well equipped inside, with complete bedroom and bathroom facilities. 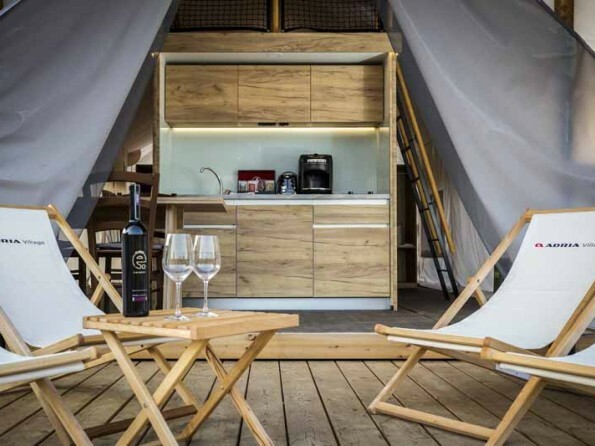 The larger tents also have a small kitchen area and a seating area. 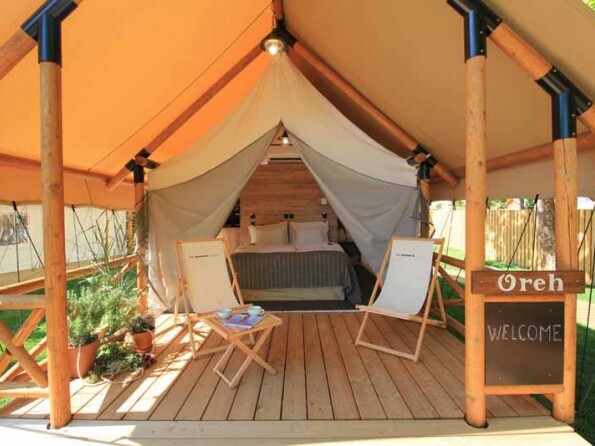 There is a comfortable double bed, and in the larger tents, an additional small double on the mezzanine upstairs. 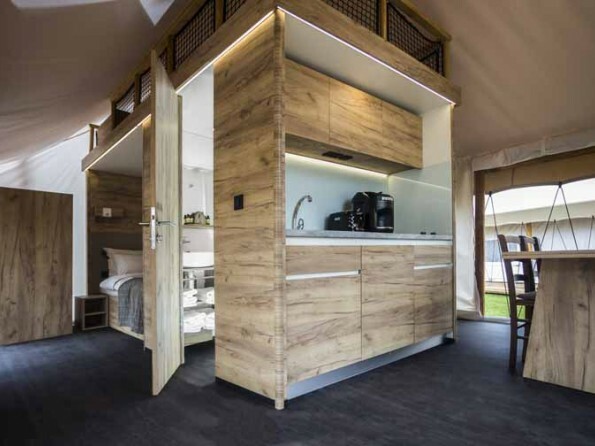 Inside each tent you’ll find a TV, mini bar, and aircon. 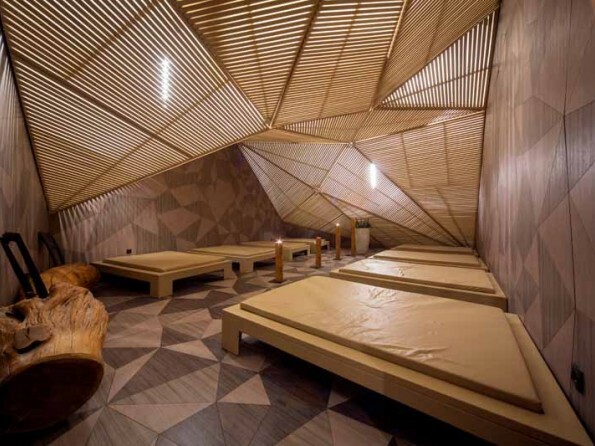 Each tent has a covered outdoor terrace with table and chairs. 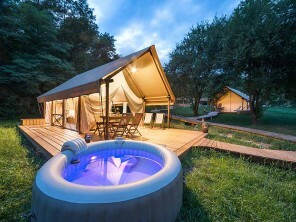 The larger tents have a path which leads from each safari tent to the swimming pool - completely natural with healing thermal waters - which is shared by other glamping guests. 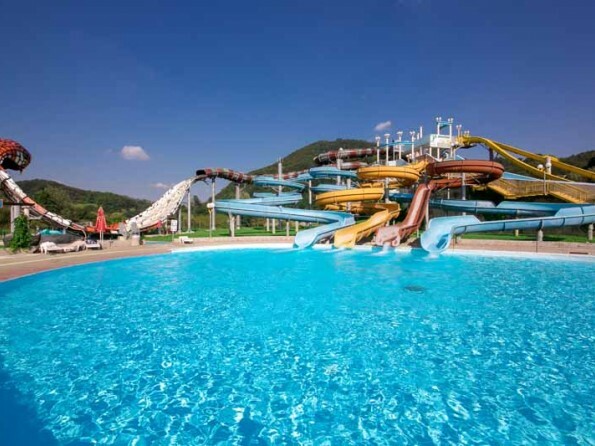 Included in the price: accommodation, free entrance into the Aqualuna waterpark, private entrance to thermal pools, breakfast, towels and bed linen, room cleaning, wifi access, air con, heating, safe, coffee and tea maker, TV, parking. 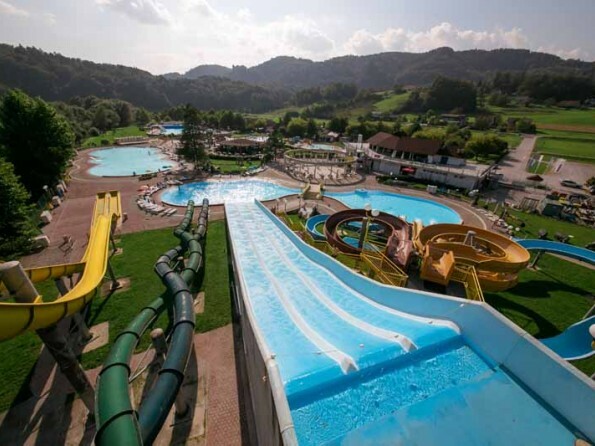 Please note that the water park only opens in April, when the weather conditions become suitable for outdoor swimming. 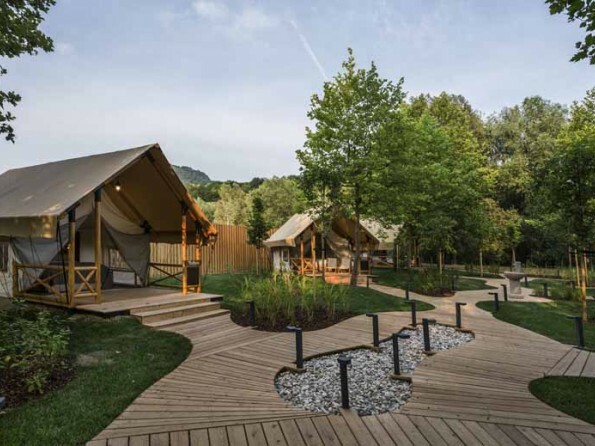 If the water park is not open, the glamping guests will get free entry to Orhidelia, which is the wellness centre at Terme Olimia. If you can drag yourself away from the spa and the waterpark, consider a visit to the Olimje Monastery which was built c.1550. 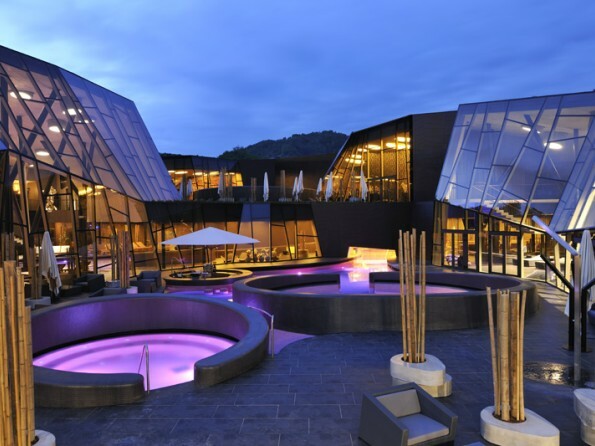 Also nearby is Čokoladnica Olimje, a chocolate factory which makes and sells the most famous chocolate in Slovenia. 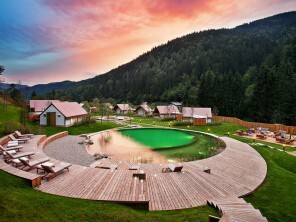 Children will particularly love a visit to Jelenov Greben, a beautiful park where you can feed the deer.